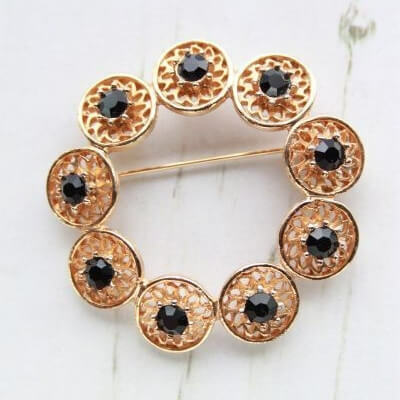 Description: This detailed gold plated brooch features 9 black faceted rhinestones in a circle design. An unsigned gem, genuine vintage from the 1980s. 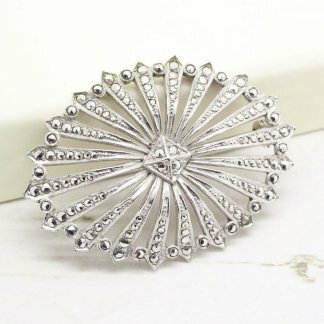 Measuring 4.9cm at widest point, this brooch would look amazing attached to the lapel of a jacket – Or think outside the box and wear on a scarf, choker necklace or bag. 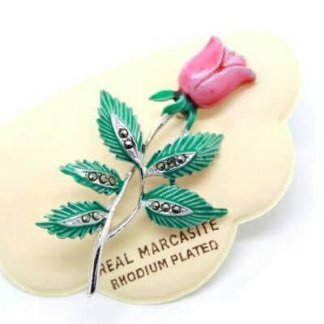 The brooch is in good condition showing slight to no wear, complete with a strong roll lock clasp to the back. 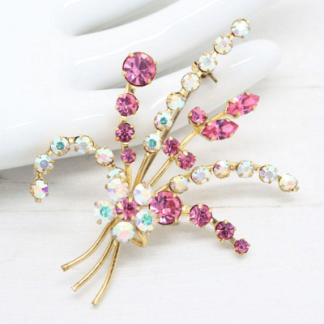 A great everyday addition to any jewellery box.